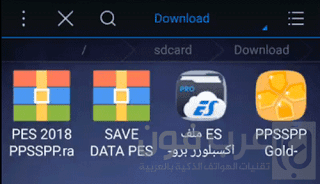 Hi, Now you can Download and Install PES 2018 iso file to install it with PPSSPP Emulator on your Android devices, we are talked before about PES 2017 for all android device, and now it's the time to install the new one with all new feature and add-ons, from this article you will download the latest version of Pro Evolution Soccer game for free, also we will show you how to install it! Pro Evolution Soccer is one of the best game in the word, and the first Soccer game for android phones and tablets, and we talking here about 2018 update by Konami for now, there is no android version on Google Play, so we will use PPSSPP Emulator and PES 2018 iso file to install this version on our android, this updated came with enhanced graphics, digital display, beautiful and awesome 3d crystal display and almost looking real players. Strategic Dodge and a new set of touches that take you into the real world of football. A list of new players and real photos. New pre-season tournaments, improved player transfer system, offers and functionality. Enhance the graphic with new lighting with reworked animation models that cover both facial expressions and body movement. We come here to explain the installation tutorial for Pes 2018 PSP on Android phones, we will install the game on PPSSPP Emulator, Which can run Playstation game on android, so let start!! After downloading the above files and applications, now we will explains to you how to install Pes 2018 on the ppsspp emulator. 1. Install the PPSSPP-Gold application and the ES Files Explorer as usual way. Do not forget to activate the unknown source option in your phone's security settings. 2. Open the PES 2018 PPSPP.RAR File, and then extract the ISO file to Memory card. 3. Extract the folder inside SaveData to the Sdcard/PSP/Savedata folder. 4. 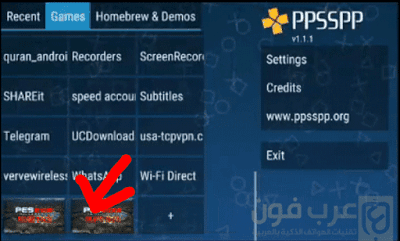 Go back to the applications list on your phone and open the ppsspp application. 5. Go down to the bottom of the list and select the game and wait for its start. 6. Congratulations!! PES 2018 on your device. 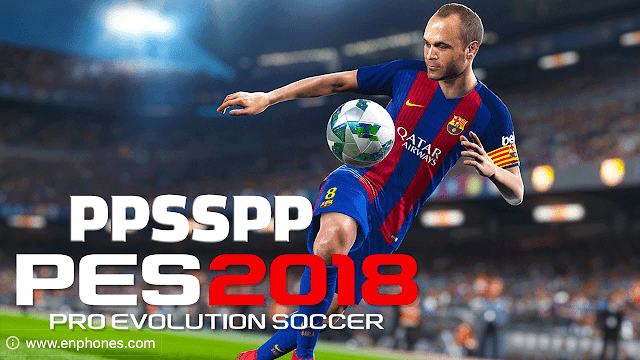 Here we have finished our article about download and install the famous game Pes 2018 on android device via the ppsspp emulator, if you have any problems, do not hesitate to put it comment below the article or email us on the Facebook page.